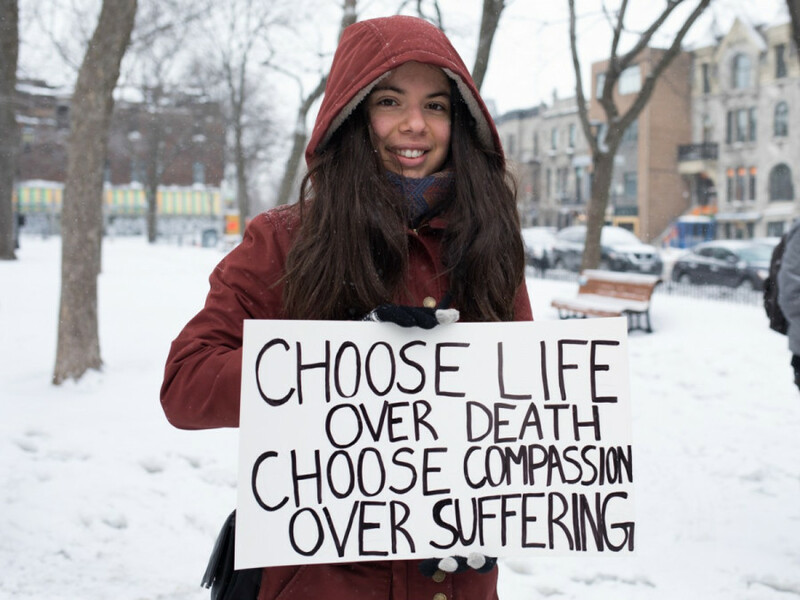 Over a hundred people gathered at Square Saint-Louis in the Plateau Mont-Royal this Saturday to protest the exploitation of animals in slaughterhouses and to promote animal rights. The protest meant as a way to provide information about the maltreatment of animals and the effects of meat and dairy production have on the environment. Protesters held signs with photos of animals with messages saying slaughterhouses should be shut down. People chanted, “Les animaux ont des droits,” saying animals deserve more recognition as living beings worthy of improved rights. The protest took place at a fitting time, seeing as the newly revised Canada food guide is now putting less importance on the consumption of animal-based proteins. “Animal exploitation is undermining our health, the environment and of course [causes] cruelty to animals,” said Jonathan, one of the protestors. The protest was set up by four organizations: the Collectif antispéciste pour la solidarité animale, KARA, Ras-le-bol and and L’organisme antispéciste de Montréal. Sarah Loufty holds up sign to demolish slaughterhouses. Photo Maggie McCutcheon. “Ultimately, the march to abolish meat is about ending the institutionalized exploitation, breeding, and killing of animals for consumption,” said Marion Achoulias from KARA. 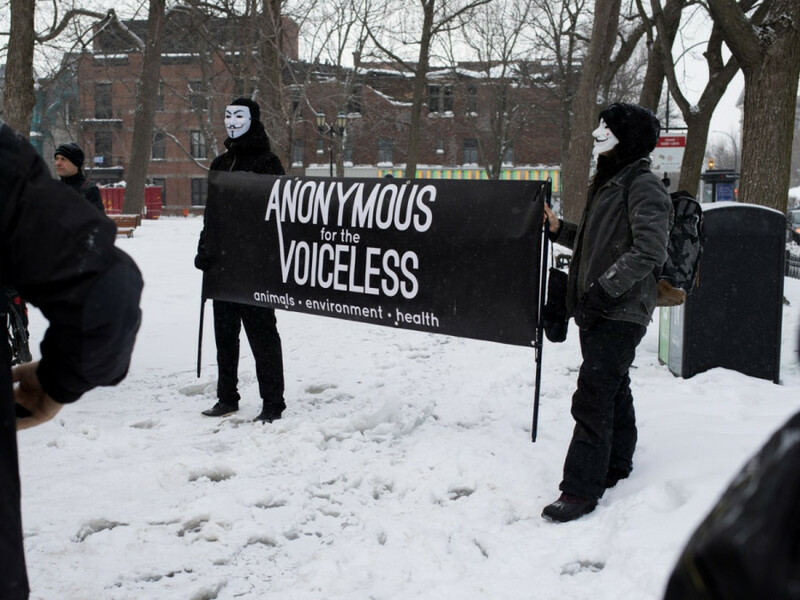 Although not an organizer, a group called Anonymous For The Voiceless also showed up in large numbers to show their support and to hand out pamphlets detailing information on both the exploitation of animals and the benefits of veganism. The group later made their way to St. Laurent Blvd. where they were met with a mix of cheering onlookers taking videos, as well as a handful of people who told them to go home. According to two Dalhousie University studies in March 2018, approximately 9.4 per cent of Canadians are either vegan or vegetarian. At least 6.4 million Canadians are cutting back on their consumption of meat by following stricter diets. In a city like Montreal where vegan food and goods have become readily available, Natalie Bartosek from Anonymous For The Voiceless said vegan diets are finally becoming more accessible and appealing to regular people.